The Superstakes is back for 2018 and it’s bigger than ever with $250,000 of new BMW motorcycles in the prize pool. The popular raffle that supports the BMW MOA Foundation will include 25 new BMW motorcycles including a new R 1200 GS Adventure, R 1200 RT or K 1600 GT for the grand prize winner. And, we've added a cash option this year. Want to use your prize as a down payment on the bike of your dreams? No problem! But that’s not all. 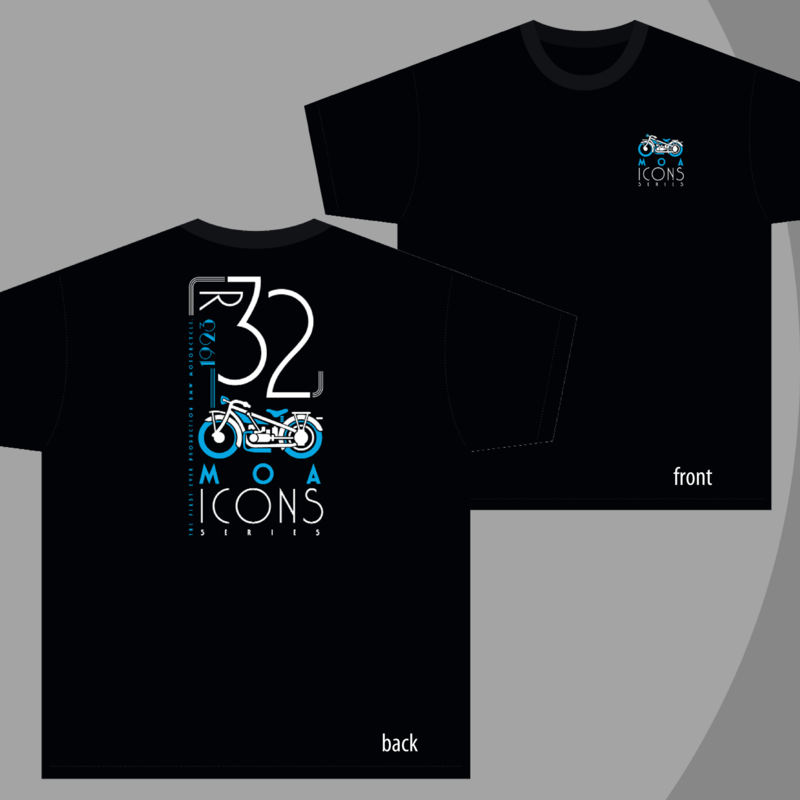 For 2018, every ticket will include the buyer's choice of an MOA Icons series t-shirt. 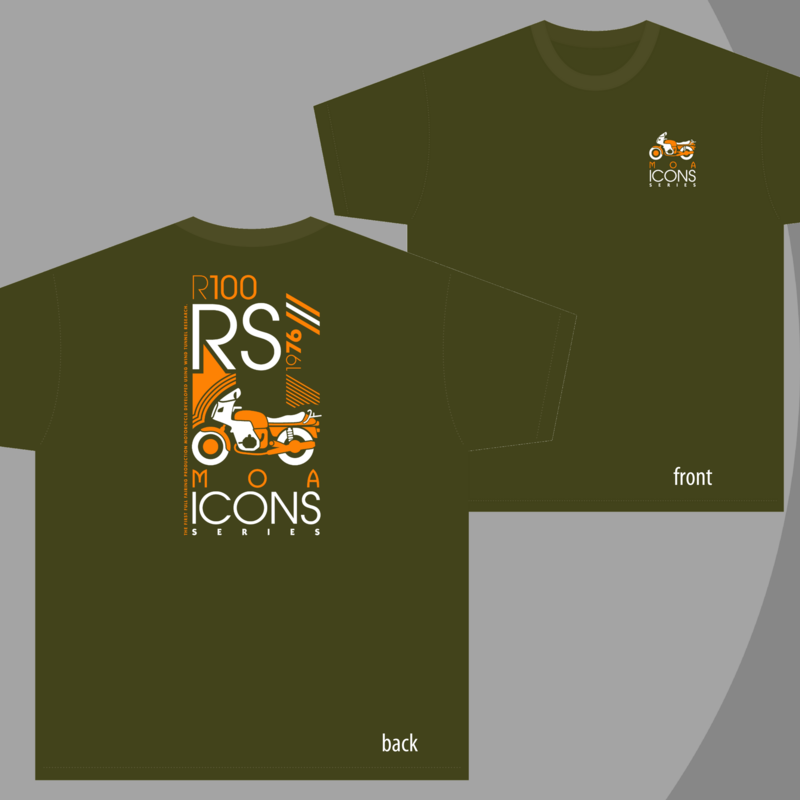 Eight classic designs are available of the BMW R32, R12, R69S, R90S, R80GS, R100RS, K1 and R1100RS. This year, every ticket is a winner! But, that's still not all! The 2018 Superstakes will benefit the Paul B. Scholarship fund. The MOA Foundation is guaranteeing $100,000 in funding for the popular scholarship program that grants $250 awards to MOA members for the rider training of their choice. MOA members can PURCHASE TICKETS for $100 each between May 1 and July 7, 2018. Every ticket has 25 chances to win. Odds of winning depend on the number of tickets sold, but you definitely have 25 chances to win. Winning tickets will be draw July 14, 2018 at the BMW MOA National Rally in Des Moines, Iowa. Drawing #1: Donald Varlamos, Anchorage, AK : 2018 R 1200 GS or $16,500 cash! Drawing #2: David Reinecke, Marion, IA : 2018 G 310 GS or $5,000 cash! Drawing #3: Turin Atol, PAsadena, CA : 2018 F 800 R or $10,000 cash! Drawing #4: Cliff Dowdy, St. Simmons Island, GA : 2018 G 310 R or $5,000 cash! Drawing #5: Glenn Kalmowitz, Deale, MD : 2018 R nine T Urban GS or $12,500 cash! Drawing #6: Michael Heeremans, White River Junction, VT : 2018 G 310 GS or $5,000 cash! Drawing #8: Todd Bishop. Orem, UT : 2018 G 310 R or $5,000 cash! Drawing #9: Patrick Peyton, North Beach, MD : 2018 R 1200 RS or $15,000 cash! Drawing #10: Lance Raber, Sun Lakes, AZ : 2018 G 310 GS or $5,000 cash! Drawing #11: Jean-Andre Corpuz, New York, NY : 2018 R nine T Scrambler or $12,500 cash! Drawing #12: Dan Myers, Reno, NV : 2018 G 310 R or $5,000 cash! Drawing #13: John Kirchner, Austin, TX : 2018 F 800 GS Adventure or $13,500 cash! Drawing #14: David Hammer, North East, PA : 2018 G 310 GS or $5,000 cash! Drawing #15: James Sterling, Smithville, TX : 2018 R 1200 R or $14,000 cash! Drawing #16: Sidney Jacobs, Greensboro, AL : 2018 G 310 R or $5,000 cash! Drawing #17: Chris Williams, Yorktown, IN : 2018 R nine T Pure or $12,500 cash! Drawing #18: Dave Nichols, Drayton Valley, AB : 2018 G 310 GS or $5,000 cash! Drawing #19: Bob Skeffington, Davenport, IA : 2018 S 1000 RR or $16,000 cash! Drawing #20: Ricardo Villar, San Francisco, CA : 2018 G 310 R or $5,000 cash! Drawing #21: Daniel Farson, Godfrey, IL : 2018 F 800 GS or $12,000 cash! Drawing #22: Thomas Tremblay, Oak Pint, TX : 2018 G 310 GS or $5,000 cash! Drawing #23: David Bright, Coalfax, CA : 2018 R nine T or $15,000 cash! Drawing #24: William Grieb, Aurora, CO : 2018 G 310 R or $5,000 cash! Grand Prize: Allan Kaplan, Ashford, VA : Winner's choice of a 2018 R1200 GS Adventure, R1200 RT, K 1600 GT or $22,000 cash! Superstakes ticket sales begin May 1, 2018 and end July 14, 2018. All ticket orders must be RECEIVED on or before July, 7 2018. Superstakes tickets may be ordered online at BMWMOA.ORG/SUPERSTAKES, by calling (864) 438-0962 or by mailing the Superstakes order blank posted in the BMW Owners News. Complete prize list is available online at bmwmoaf.org. TICKET HOLDER NEED NOT BE PRESENT TO WIN – ALL PRIZES WILL BE AWARDED. Multiple ticket purchases by a single buyer are permissible. 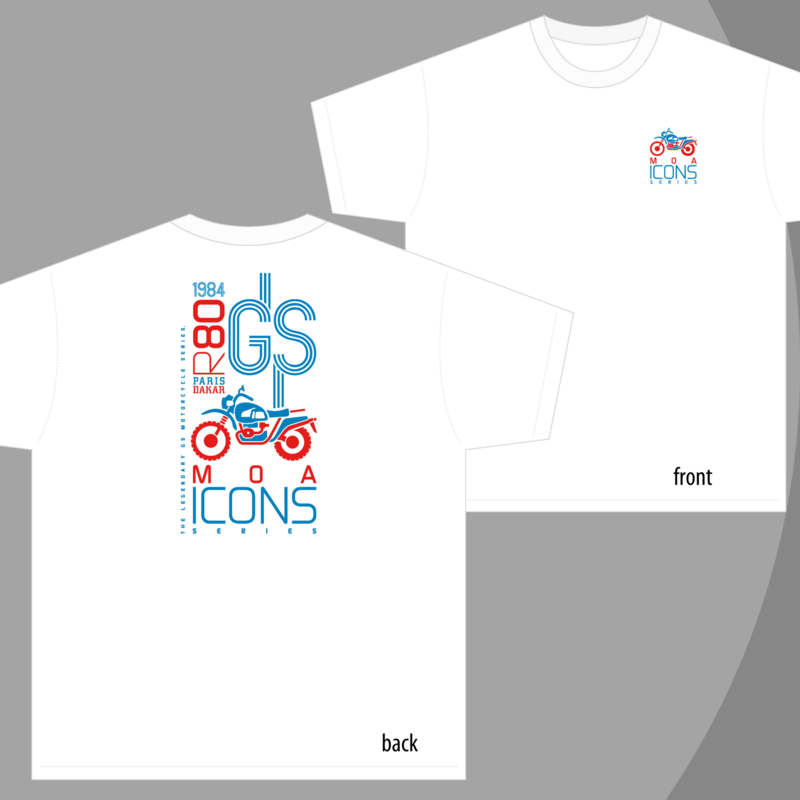 Buyers may choose one free MOA Icons t-shirt for each ticket purchased. Any ticket number can win more than one prize. Odds of winning depend on final number of tickets sold. All winning numbers will be drawn Saturday July 14, 2018. Complete winners list will be posted at BMWMOAF.ORG. Winners claiming their prize must present winning number and PHOTO IDENTIFICATION. Winners are subject to all applicable taxes. Consult your local tax professional for exact tax liability. BMW MOA Foundation Board members, BMW MOA employees, contractors and their immediate families are ineligible to win. Immediate family defined as spouse and dependent children. The BMW MOA, BMW MOA Foundation, their officers, directors, employees, volunteers, sponsors or any person or organization affiliated with BMW MOA will not assume any liability for any loss, injury, claim or otherwise resulting from any prize obtained through the sale of a ticket. By submitting an order for a Superstakes ticket and receiving a drawing number, the buyer acknowledges this limitation of liability and assumes any liability and will hold harmless the BMW MOA Foundation or any affiliate for any liability resulting from the purchase of this ticket or any prize resulting therefrom. When can I buy Superstakes tickets? Tickets are available for purchase between May 1, 2018 and July 7, 2018. Any orders for Superstakes tickets must be RECEIVED by these dates. How do I purchase a Superstakes ticket? 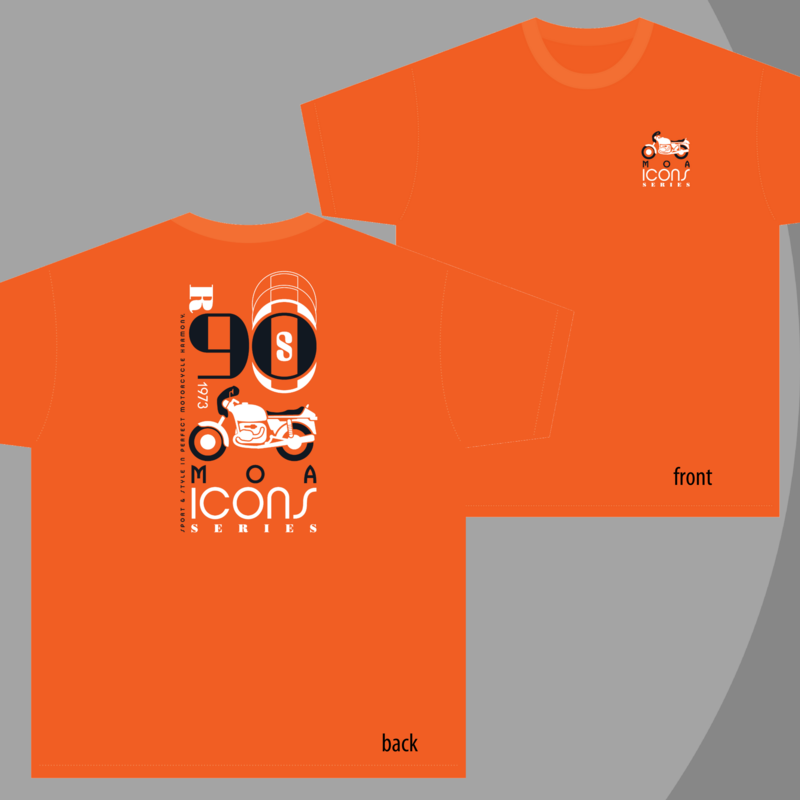 Tickets can be purchased on the website at BMWMOA.ORG/SUPERSTAKES or by calling (864) 438-0962. 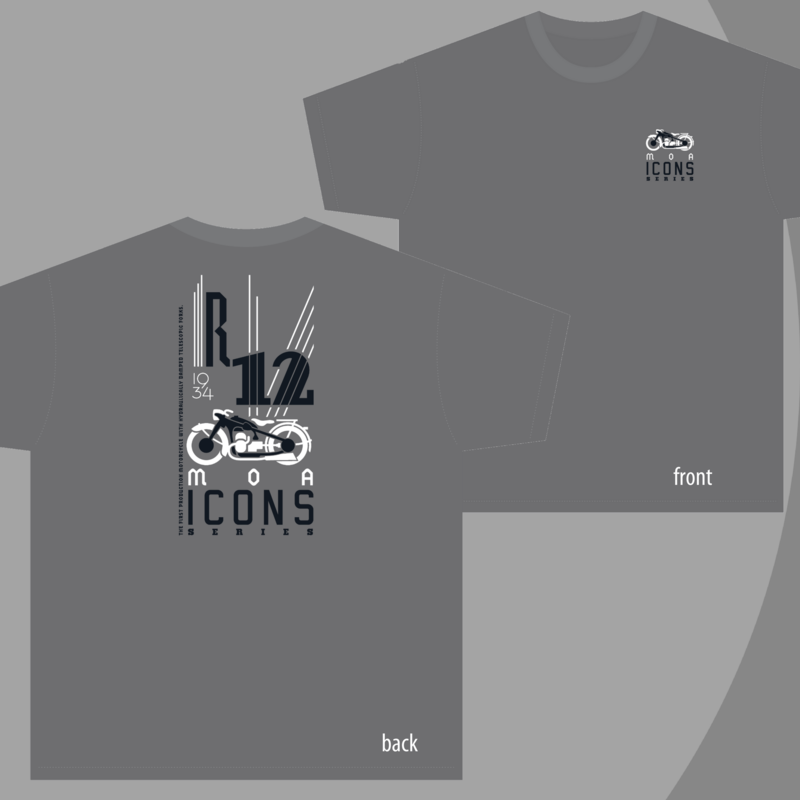 Order blanks will also be available through the BMW Owners News with a return mailing address. Are you going to send me an actual ticket? No. United States Postal Service regulations prohibit mailing lottery or raffle tickets. Buyers will receive an email with a link to print the actual ticket receipt. Ticket buyers who do not have an email address will receive an order confirmation of their ticket purchase. The original order will be kept on file at the BMW MOA Foundation office. 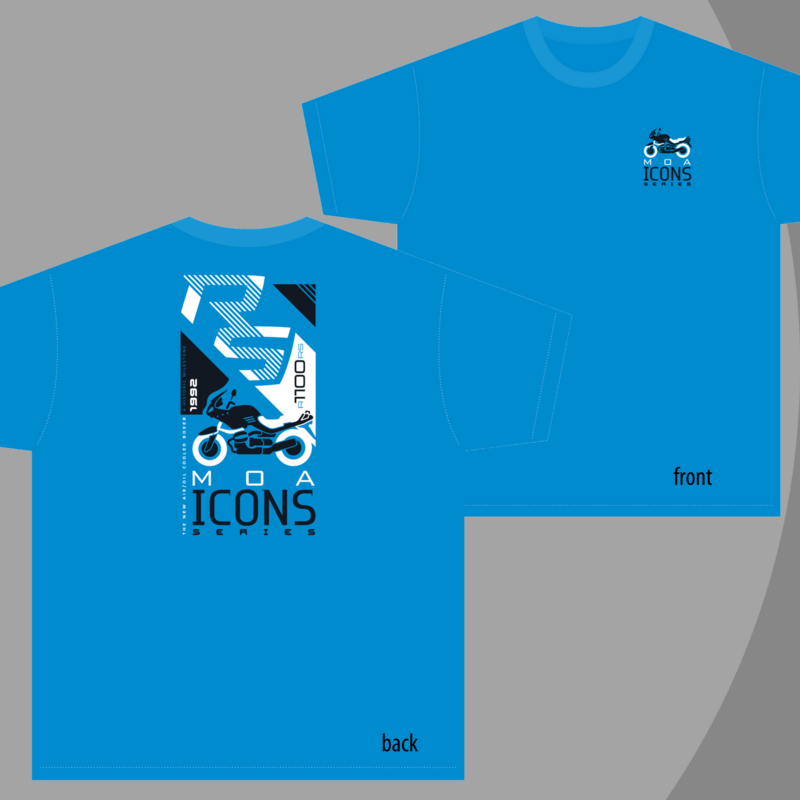 How will I receive my free MOA Icons t-shirt? 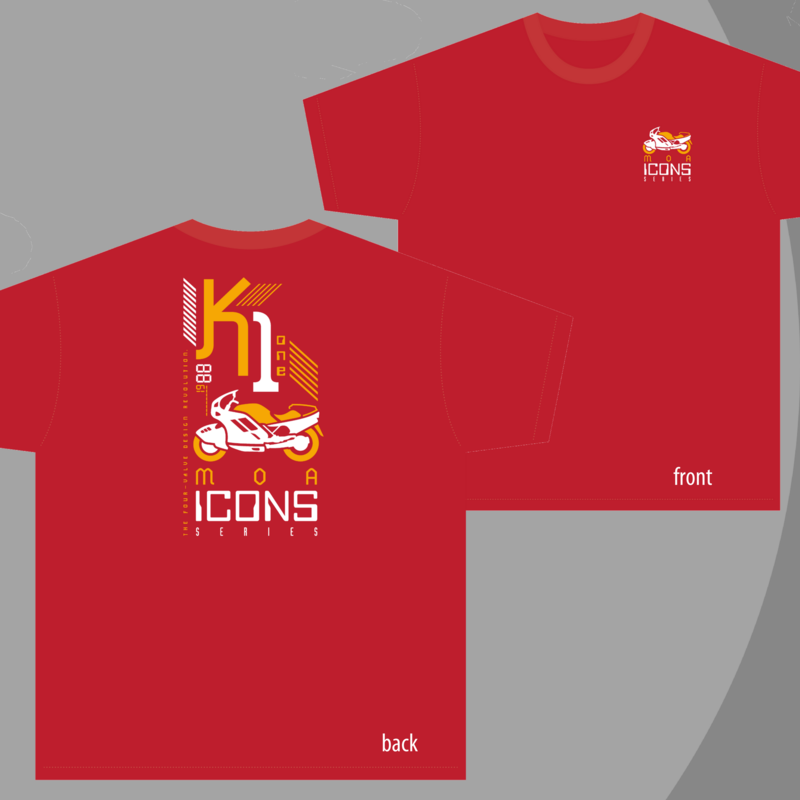 T-shirts will be mailed to ticket buyers in bulk beginning in June. 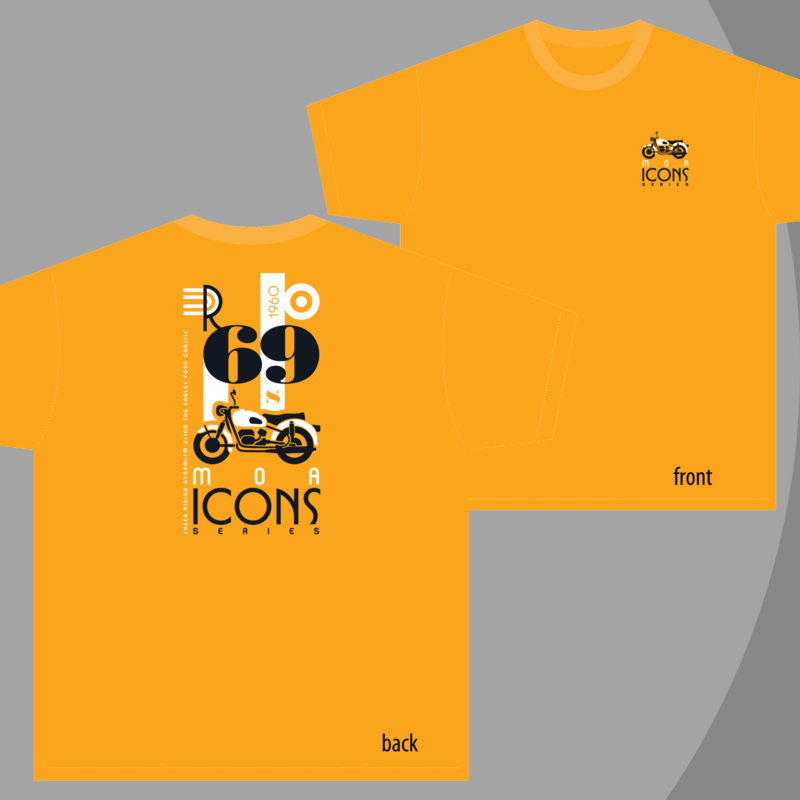 Ticket buyers should allow four to six weeks for t-shirts to arrive. You may purchase as many tickets as you like. I purchased a Superstakes ticket and I have not received anything in return. How can I check on my purchase? Yes. You can purchase tickets online at BMWMOA.ORG/SUPERSTAKES. Single tickets are $100 each. Are there any discounts on multiple tickets? Tickets are $100 each and there are no discounts for multiple tickets, however, you can purchase as many tickets as you like. Drawing #1: 2018 R 1200 GS or $16,500 cash! Drawing #2: 2018 G 310 GS or $5,000 cash! Drawing #3: 2018 F 800 R or $10,000 cash! Drawing #4: 2018 G 310 R or $5,000 cash! Drawing #5: 2018 R nine T Urban GS or $12,500 cash! Drawing #6: 2018 G 310 GS or $5,000 cash! Drawing #8: 2018 G 310 R or $5,000 cash! Drawing #9: 2018 R 1200 RS or $15,000 cash! Drawing #10: 2018 G 310 GS or $5,000 cash! Drawing #11: 2018 R nine T Scrambler or $12,500 cash! Drawing #12: 2018 G 310 R or $5,000 cash! Drawing #13: 2018 F 800 GS Adventure or $13,500 cash! Drawing #14: 2018 G 310 GS or $5,000 cash! Drawing #15: 2018 R 1200 R or $14,000 cash! Drawing #16: 2018 G 310 R or $5,000 cash! Drawing #17: 2018 R nine T Pure or $12,500 cash! Drawing #18: 2018 G 310 GS or $5,000 cash! Drawing #19: 2018 S 1000 RR or $16,000 cash! Drawing #20: 2018 G 310 R or $5,000 cash! Drawing #21: 2018 F 800 GS or $12,000 cash! Drawing #22: 2018 G 310 GS or $5,000 cash! Drawing #23: 2018 R nine T or $15,000 cash! Drawing #24: 2018 G 310 R or $5,000 cash! Grand Prize: Winner';s choice of a 2018 R1200 GS Adventure, R1200 RT, K 1600 GT or $22,000 cash! How many prizes are available? Yes. Every ticket number is included in every drawing. All tickets numbers have an equal chance of winning. You can purchase multiple tickets for better odds of winning. What are the odds for winning? Actual odds depend on the number of tickets purchased. The more tickets you purchase, the better your odds of winning. Winning tickets will be drawn July 14 at the BMW MOA National Rally in Des Moines. No, the winner will be contacted by phone, email or registered mail within 14 days of the drawing. If I win the motorcycle, are you going to ship it to me? No, the winner is responsible for all delivery costs and arrangements. Is the first service (or any service) included as part of the prize for the motorcycle? No. Maintenance costs will be the responsibility of the winner. I don’t live in the United States. Will the winning motorcycle be legal in my country? All motorcycles will be US specification models. You should check with your local governing body to determine if that model can be imported into your country. We will do our best to accommodate non-US winners, but prize value may be affected. I can’t import a US specification motorcycle into my country. Are you going to buy me a motorcycle that meets my country requirements? No, but you can opt for a cash value prize as specified in the prize list. The motorcycle prizes awarded in the Superstakes are US specification motorcycles. I don’t want the motorcycle or any of the other prizes. Is there a cash option? Yes. The cash value of each prize is specified in the prize list. Do I have to pay taxes on the prize? Yes, any federal, state and local taxes are the responsibility of the winner. How much are the taxes on the prize? Taxes depend on the prize won and your geographical location. You should contact a local tax professional for a specific amount of your tax liability. Are you sending tax forms at the end of the year? Yes, you will receive the appropriate tax forms. You may submit questions through the contact form on the Superstakes page at bmwmoaf.org or contact the BMW MOA Foundation by email.